Full Moon July 27th: the Longest, most Supercharged Eclipse of the 21st Century. On July 27th/28th, 2018, we will experience a spectacular celestial phenomenon with the longest eclipse (104 minutes) of the 21st Century. A “lunar eclipse” happens when the sun, earth, and moon align—with Earth sitting between the sun and moon. The moon is the closest astronomical body to Earth, and moon phases are always energetically potent, creative, and intensely magical times, which are known to affect us emotionally, mentally, and physically. However, the cosmic vibes emanating from a full moon total eclipse are believed to be multiple times more compelling and powerful than other phases, so, on July 27th we can expect lunar energy to be supercharged and at its most intense for the longest time in a 100-year period. 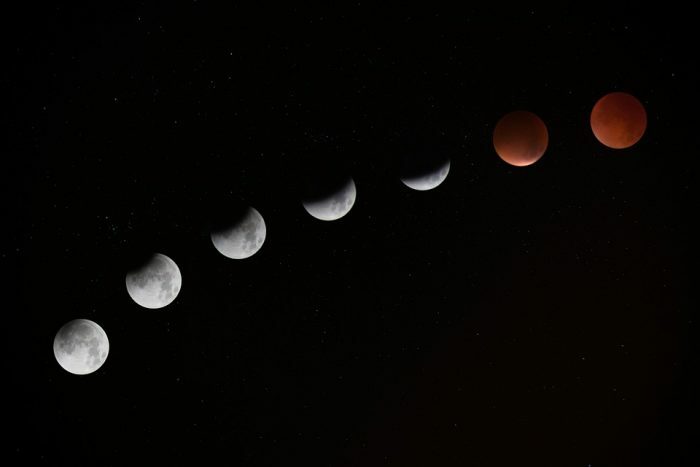 In astrology, eclipses are said to be the most electrical and mystical times of the year, as the moon goes through each of its phases in a short space of time. Eclipses affect us all differently, just as new and full moons do. This is partly to do with the sign that the sun and moon are passing through, partly influenced by our own birth chart, and is also determined by how we feel emotionally, mentally, and physically at the time. Some will feel extremely calm, grounded, and balanced during the eclipse; others will feel totally unhinged—as though the eclipse has been brutal and their life has temporarily shifted out of recognition. Those who are highly sensitive to energy will find themselves on a roller-coaster ride for a few days, accelerating at great speed from one emotion to the next, circling from calm to chaos over and again. This is why it is essential to be well-prepared in advance for cosmic events, as if we head into them on a low frequency, or if we are carrying chaos and drama with us, it is likely that they will create a storm, and once we’re in it, we will struggle to ground our energy and “come back down to Earth” (energetically speaking). Lunar eclipses are enigmatic and are often compared to a moody, stormy ocean. They are renowned for generating a surge of potent energy that unexpectedly changes our lives by causing emotional upheavals. Not only can eclipses be uncomfortable and challenging to deal with, their impact leaves a long-lasting, unforgettable impression on our lives. If we note the dates of eclipses in a journal and intermittently look back at them throughout our lives we will see a definitive divide between what we were going through and how we were feeling before and after they occurred. An eclipse is a temporary interruption of universal energy between the sun, moon, and earth, and during them, we may also notice an abrupt halt of energy happening in our own lives. This temporary seizure offers us the opportunity to gain perspective on where we are at and where we want to be heading, before pressing reset and clearing the karma to everything we have previously gone through. Eclipse cycles pull us into intense healing phases where we break out of old and harmful patterns of behavior—they force us out of situations that are toxic, unfulfilling, and that lower our vibration. We will likely feel the need to free ourselves from anyone or anything that feels toxic, dysfunctional, or harmful. We may feel compelled to end a relationship, declutter belongings, make a career change, quit bad habits, change certain beliefs, make a major lifestyle decision, move home, or even relocate to a new city or country. 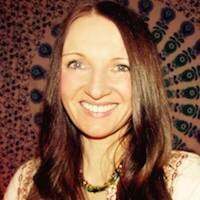 The changes that happen are often things we have been working hard to manifest, and the eclipse helps us along by moving our lives accordingly, as it magnetically pushes and pulls, organising and calibrating energetically. It is highly recommended not to rush into big decisions or commit to big changes in the couple of days before or after an eclipse. Celestial energy causes havoc by bringing problems to the surface and turning situations upside down; we we will likely feel disoriented and not have clear perception at the time of the eclipse. Therefore, it is advised to wait a day or two until the energy has calmed and settled. The eclipse’s powerful vibration builds in the week before it happens; many people will have already felt the disruption, strength, and intensity emanating from it, and have noticed how it has heightened existing tensions by presenting through obsessions, jealousies, arguments, and frustrations. It is possible that those who are sensitive to energy will feel anxious, impatient, and as though something big is about to happen as the moon moves closer toward its fullest form. Frazzled nerves and tempers will likely flare out of nowhere, causing conflict within our intimate relationships. We may even have become temporarily or permanently separated from those we were in close relationships with, as this lunar energy charges in and shakes everything in its wake. As with all major universal events, eclipses can bring disorder and disruption with them, but they always serve our highest good and despite being temporarily turbulent, they are renowned for having positive outcomes. Eclipses are unpredictable—they’re nature’s way of awakening us to anything we’ve refused to accept, deal with, or alter, so they exert their energetic strength, giving us no option but to confront aspects of our lives that require our attention. Anything we have been resisting will become too great to ignore and we will find ourselves caving in, whether that be: contacting someone we are estranged from, taking accountability for our behavior and sending out an apology or two, choosing to open to trust instead of feeling fearful, or accepting we are extremely worthy, magnificent beings. Eclipses uproot our insecurities but at the same time make us feel compelled to switch the stories in our minds so we play ones that soothe our worries and reassure us of our individual greatness, rather than ones that keep us downtrodden and trapped in the past. During an eclipse, our spiritual awareness, thoughts, intentions, and manifestations are believed to be amplified, and we will discover that we effortlessly speak into existence anything weighing heavy on our heart or mind. This is why it is vital that we remain aware of what we are thinking about, saying, or hoping for, as we may be shocked at how quickly our pondering becomes part of our reality. Eclipses have a tough but determined energy force and help us become masters at manifesting, so it is important that we flow with the energies and think big—regardless of how far-fetched our dreams may seem. This is the time to take leaps toward actualising our goals, as we’ll be amazed at how our life transforms the moment we quit procrastinating and disbelieving, and begin having faith in our power to create a rich life filled with purpose. This impressive eclipse is the start of a new mission—and one that when we reach the next and final eclipse of the year on August 11th, 2018, we will be astounded at how much we’ve changed, gained, and achieved. When we are determined and focused, the universe supports us by providing signs, synchronicities, and almost unbelievable opportunities that make magic happen. All we need to do is fully believe in ourselves and our magnificent capacity to create the exact life we want and we will, with certainty, achieve whatever it is we hope and dream of. It is highly recommended to drink plenty of filtered water on an eclipse day, and during the evening to take a salt water bath. Also, if possible, find a comfortable place outdoors to sit beneath the moon near water, such as a lake or the ocean, or anywhere out in nature where you can moon gaze, rest, meditate, and relax into deep contemplation. Another easy way to attune with the moon and to ground and balance energy on an eclipse is to head out for a relaxing barefoot walk in nature. Awesome!!! Thank you!! THIS IS MY JOURNEY!!! I am 55 and just now pinned down that I AM AN EMPATH!! Why did it take so long!? I could write a book as well on that alone. I’m so glad I saw this article. Thank you for being a part of my growth into who I really am.